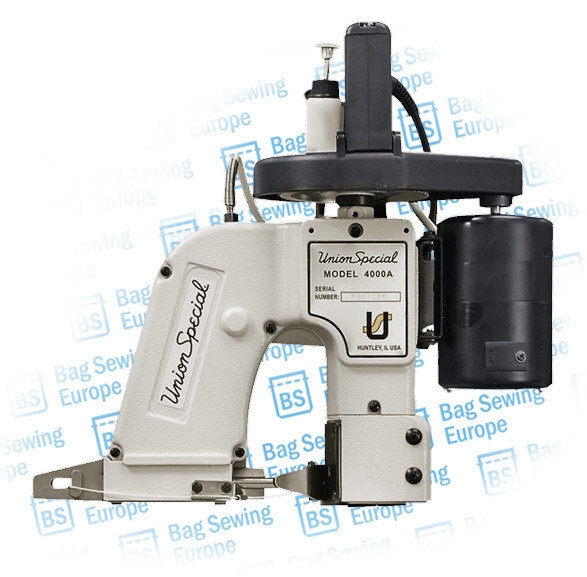 The Union Special 4000 Portable Bag Closer is the perfect Well-balanced hand-held machine that fits perfectly in an operators hand. 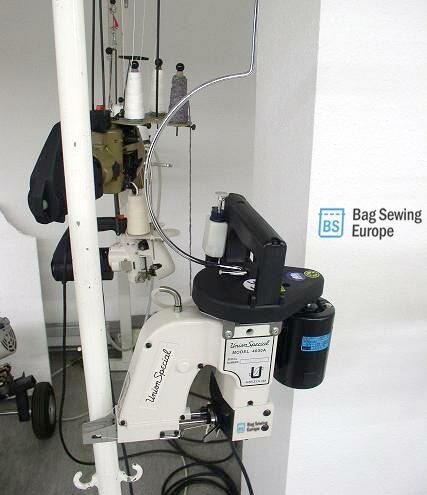 It is designed for closing bags made of light-weight jute, Butlap, cotton, Paper, Plastic or Polypropylene woven fabric. An optional top lock spring balancer (Part. #90191M1) is available for suspended operation.